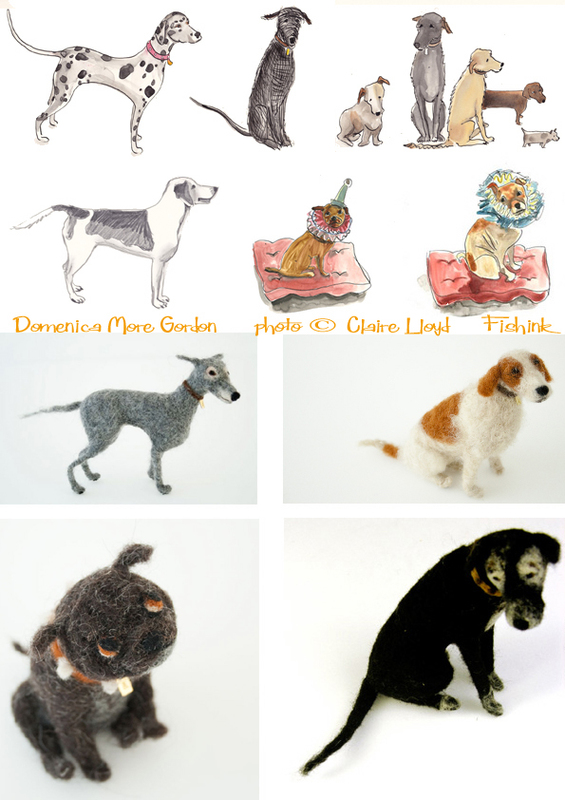 It’s almost a year ago that I first wrote about Domenica More Gordon and her beautiful needle felted dogs here. Since then her range has broadened into greeting cards, dog kits and cut outs. Domenica uses a process called dry felting, she says ” It is very simple. You use wool in its basic form and a series of different sized felting needles. The needles have tiny hooks on the end and as you stab the needle in and out of the wool, it begins to take shape. The longer you work at it the firmer it becomes. The challenge for me is to get the feel of the dog right, not just how it looks but how it feels in your hand.” Some of her most treasured wool comes from the sheep who graze on St Kilda and was collected by friends who picked it from the grass where the sheep graze. 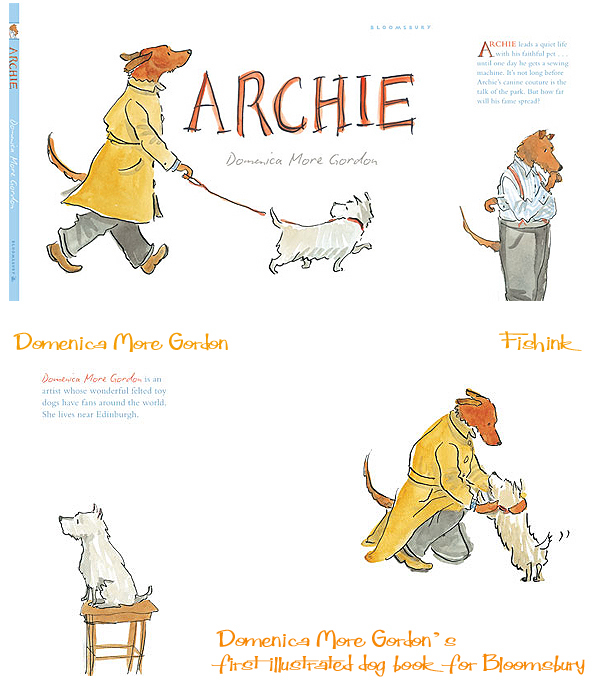 Domenica has also started illustrating books for Bloomsbury and has just signed a 3 book contract, all about a dog named Archie. Wonderful to see the developments from last year. 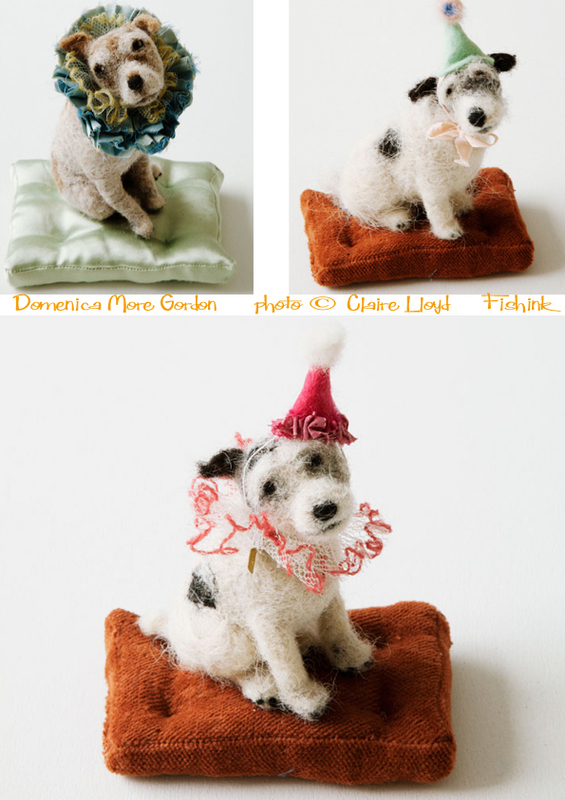 If you can’t afford one of Domenica’s personally made pooches then you can still buy your own Dog Kit here on her site and take a look at some more of her woollen canine creations. 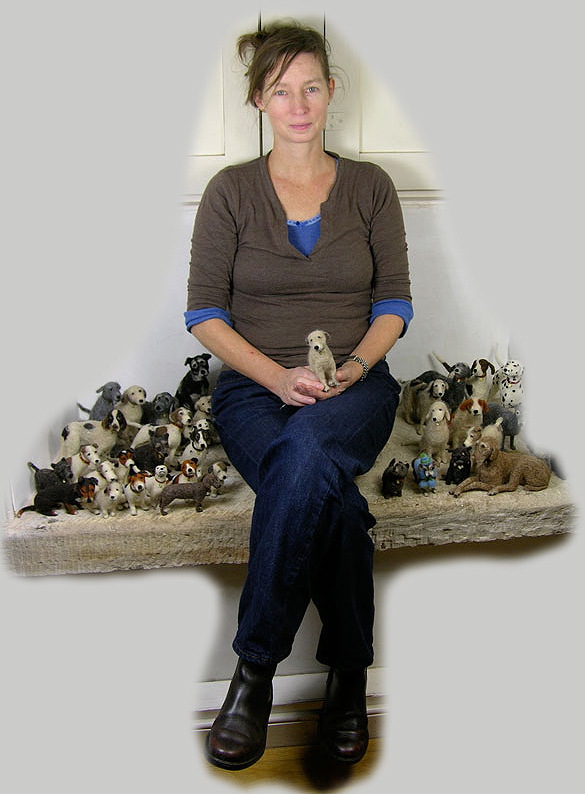 Her needle felted dogs are just exceptional! Happy NY Jil, yes they deserve a book to themselves I feel.